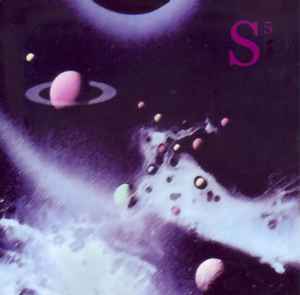 S5 = Steve Schroyder Sound Steps to Space. Limited release for Fans of Steve's first USA Tour October 2009. Recorded at Ricochet Dream Studio, Red Bank, New Jersey October 7 (tracks: 1 to 4) & 9 (track: 5), 2009. Tracks 1-4 were premiered on Galactic Travels Radio Show hosted by Bill Fox on Oct. 8, 2009. Track 5 is a bonus track. Standard release: Lightscribe disc with front cover graphic. Some copies were packaged in colorful decorative plastic cases; otherwise, slimeline jewel cases. Standard Lightscribe disc edition with front cover graphic (see item notes and images).